Wonderful story, Timi. My love for fantasy stories knows no bounds. That picture made me laugh and acted as a counterpoint to the mood of the story …you know, humorous picture, somber story. I think what I take from this–what I am reminded of–is that finding and brewing love has no set formula. These days, I no longer read manuals, tutorials or whatever insights on the subject. I think that’s wrong but I can’t help feeling that only stories (real or fictional) have a right to educate one about love. I hope our prince becomes a man again. Well done, Timi. ” . . . finding and brewing love has no set formula.” Indeed what worked with Ngozi may fail with Christina 🙂 I am intrigued by the hunter and the hunted and how gender roles have evolved or not over time. I rarely do sequels, but have said that if I did one, this story will have a happy ending. I’m really glad you enjoyed the story. You and Eno worked hard and the story finally saw the light of day, I appreciate you guys. Thanks for coming over to read the finished product. I like your fantasy stories! Yes, I agree with you – You once more brought with a great combination! diamond – magical – common sense – brilliant! Thanks Mihran. I liked the magic too, and the dialogue between princess Amera and prince Zonaltera. If I were to write a sequel, it would end on a happy note. So, just complete the story in your head, any which way you like jare. How nice, a love tale. I really enjoyed this. And wasn’t expecting this. Such a vivid description. I was watching a movie in my head. Not what I expected it to end with. i was thinking, princess, finds prince, they live happy ever after, tada the end. But then, we’re reminded that Nothing really lasts forever. @vivid description, thanks! It made the story longer, but we both agree it’s better this way. I really enjoyed the details in your story, Timi! I was intrigued by the Wise One’s hut and his beard that almost caught on fire! 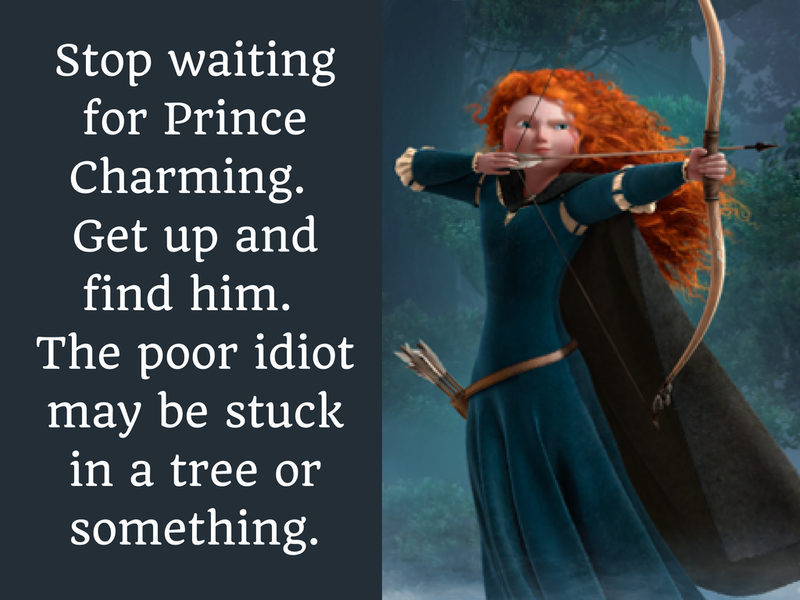 I was dismayed that she chose to aim the arrow, even after he espoused his love for her. She made a ‘fatal’ mistake, not trusting him to come to her, after they professed their interest in each other. I think we all learn from our mistakes, but I feel bad that hers was rather devastating! I’m glad you enjoyed the story Robin. I tend to be traditional myself. I like the idea of throwing the frog back in the pond, but what if he is not meant to be gone from her sight? What if he were accidentally eaten! Horrors! Aw, the right circumstances, how sweet. Many more happy years to you and Peggy! As for Princess Amera, yes, she should drop the bow and arrow, and try your suggestion 😉 She went to great lengths to ‘acquire’ him after all! Gripping tale of love, Timi. Ha! Once I sensed it had that element of romance, my pulse increased. Interesting to see that our princess got what she wanted. But in life nothing lasts forever. Her choice was fleeting – a lesson for every person. Ps Sorry for the mix up in my former comment. Choice is a rudder without hindsight. If she had waited for him to come to her, and assuming he came, would it have made a difference to the outcome? @dialogue, I’m happy you did. It was difficult to write as I didn’t want to sound too contemporary. I also wanted to write words that were pregnant with meaning, to convey gender issues with only a hint. I like how this references different cultures and fairy tales. Women going after men they love will remain an interesting topic for a long time, not just because of our culture but also because of our religions in Africa. I don’t even want to have an opinion about it, biko let the women do what they want jare. Great story as always. I like how this made me read it twice. To chase a guy or not to? I had interesting opinions and answers to my informal survey as I crafted this piece. This is the one that cracked me up the most: chase, but with style 🙂 Because we’re not islands, these are conversations that we’re going to have, and situations we’ll likely face . . . I like how your comment made me read the post again. Thanks Ife. I like Khalil Gibran’s quote because it appeals to something in me, but I am old enough to know better, at least in my experience. I like to think that there are different kinds of love, but for any to be enduring, it takes a decision to love and a commitment to follow through. His quote seems to find place in this story though . . .
You are welcome, Timi. Always a pleasure. Hahahaha. Very intelligent piece Timi. It’s funny because we women like to dream of the perfect man. And then ‘perfection’ comes. When I met my hubby, I made my decision for him purely on logic. We both had a calling for missions, we both were involved in the performing arts, he’s a strong teacher and leader. His temperament is stronger than mine (I have a strong temperament). Anyhow, I didn’t make any decision based on feelings. Because feelings come and go. Being in love is not love. Maybe that’s why see so much divorce now-a-day. People think that ‘being in love’ is love. Marriage to me means commitment. Sticking it through and working hard at it, every day. Two fallen people living together for the rest of their earthly lives is very challenging. It takes discipline to not make decisions based on feelings. It would seem that Princess Amera made logical decisions with regards finding love, choosing not to wait, but to instead go after what she wanted. So enjoy everyday together in fidelity and respect. Hi Jean, I’m glad you did. I struggled with the characters thoughts and dialogue, to say so much, with very little, to write words that hold a depth of meaning. “So enjoy everyday together in fidelity and respect.” Good advice in a world that moves way too fast. “Choice is a rudder without hindsight. A thing to be desired and yet a thing to be feared.” Yet life is all about choice! I love this It is just the truth. May God bless you dear. Thanks George. Indeed our lives consist of the choices we make, the consequences or rather the unfolding of which, we cannot fully see. Even when we make good choices, sometimes the path from the seed of the good choice to the fruit of good choice, takes us by surprise because of bumps along the way. So our Princess got what she wanted, but her happiness was short lived. Perhaps in our fight for gender equality and empowerment, we need to remember that both genders are different–not any less important– and play varying cultural roles. When we spend all our energy stuck on the goal, we sometimes forget that the journey is just as important and the possible repercussions of our actions are somewhat dimmed. I like this fight for owning ourselves as women, but I also like the roles men play and wouldn’t want to usurp a couple of things. We don’t want to take the real magic away, do we? Nice story with lots of depth Timi. P.S How did you coin all those awesome names? And thus began the preference some people have for collecting frog-related knick knacks. Be careful what you pursue . . .
We can only live “happily ever after” on a moment by moment basis. Good write. Thanks Nancy. I usually say happiness is a moving target, so moment by moment seems fitting.